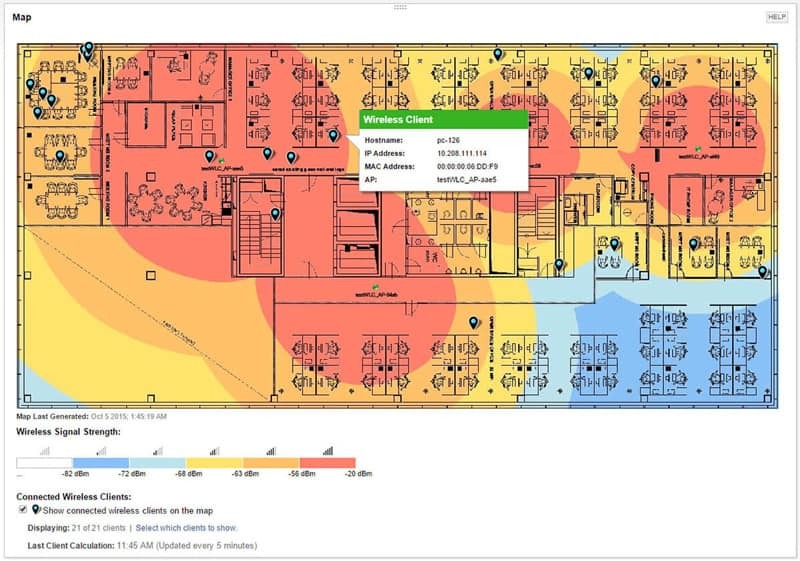 The BYOD (Bring your on Device) era is in full Swing, and what better way to know where your Bandwidth is being allocated and used than to Monitor your WIFI Networks and Analyze Traffic as well. The last thing you want going on in your networks is a rogue user who is downloading illegal content or using your WiFi hotspot as a leech for other illegal file transfers or torrents. Monitor Up-time/Down-time of APs and Thin clients. The criteria above is not 100% thorough but more of a Baseline of what we're looking for in Wifi Monitoring and Analyzing Software. With that said, many of the programs listed below will have all of the features and many more. 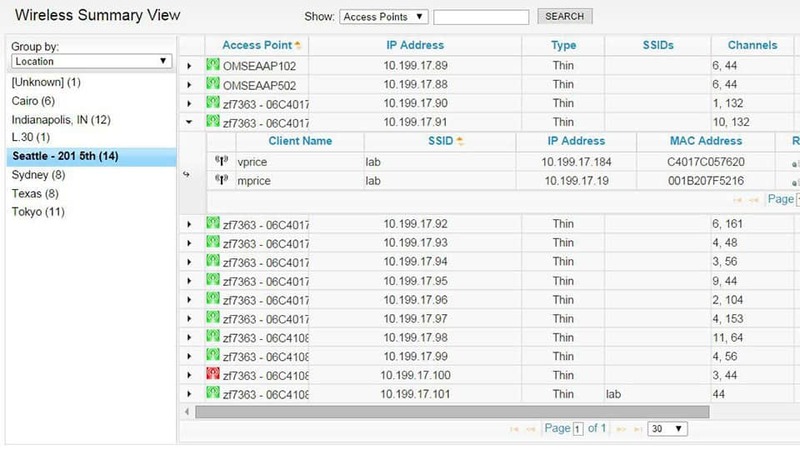 Below is a list of the best tools we've discovered for wireless analysis and enterprise monitoring – some are FREE and others are paid tools. Nonetheless, we recommend downloading them and giving them a try in your networks to see if they meet your qualifications. 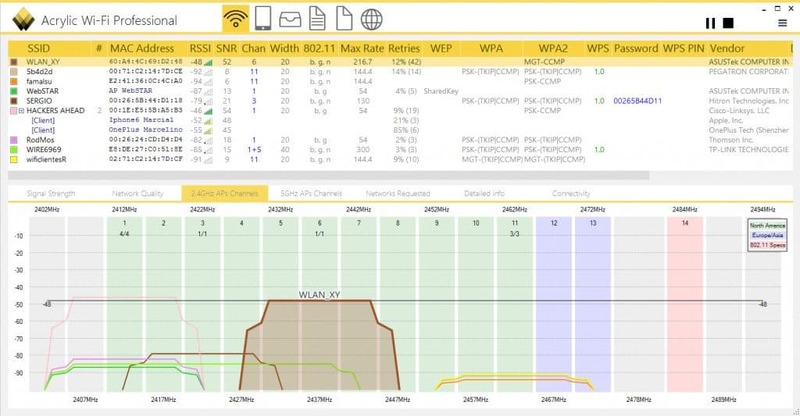 Solarwinds has probably one of the most Robust and impressive wireless tools on the Market as of 2017 – Due to their long history of provide network monitoring tools and software for network connections, delving into the Wifi realm wasn't very difficult. 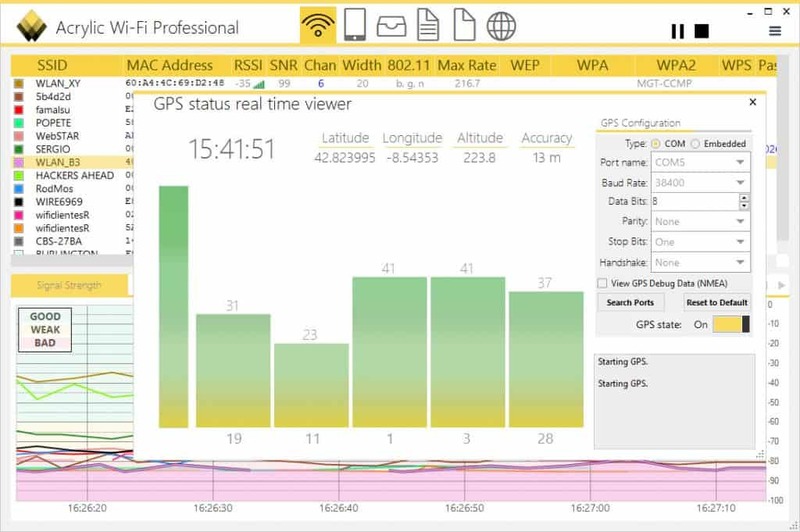 Inventory Mac Address, Device Name, IP Address, Signal Strength, Exact Time User Connected to AP, Data Transfer Rate, Bytes Received/Transmitted. 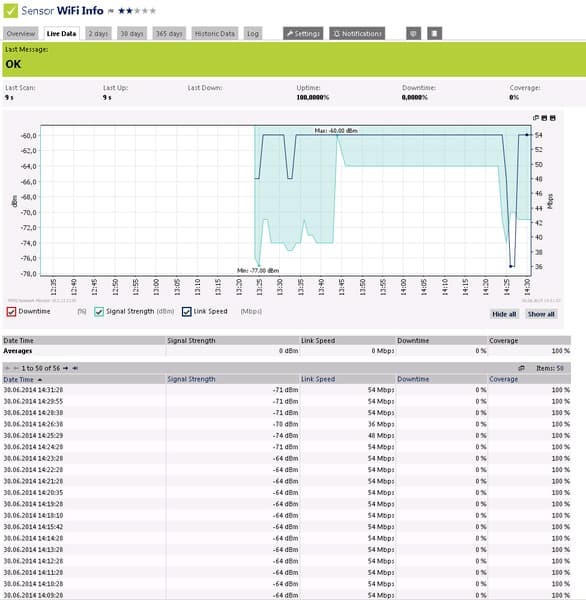 Monitor Bandwidth Usage by User/Device/Phone/Ipad or whatever device is connected by Ip Address, Name, etc. PRTG is another long standing software in the network monitoring industry and rightfully so – they've not only perfected their infrastructure monitoring capabilities, but have also added support for Wifi Monitoring as well. Support for Major Manufacturers including: Netgear, Aruba, Meraki, Ruckus/Brocade, D-Link and Extreme Networks along with many other manufacturers. 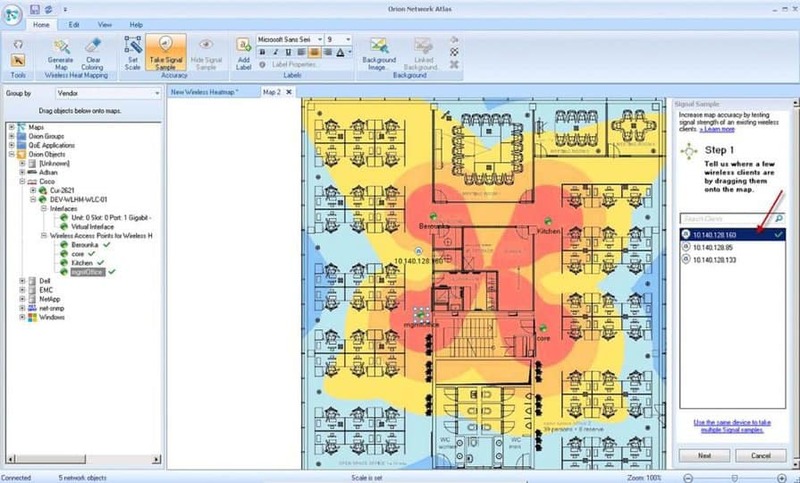 SNMP Monitoring, Packet Analysis/Sniffing and Netflow are used for Analysing Wifi Traffic. Monitor Device Status, Alarms, Uptime/Downtime, Load, Traffic, Signal Strength of Individual SSID's and Last Access. Download PRTG Free Trial Now! 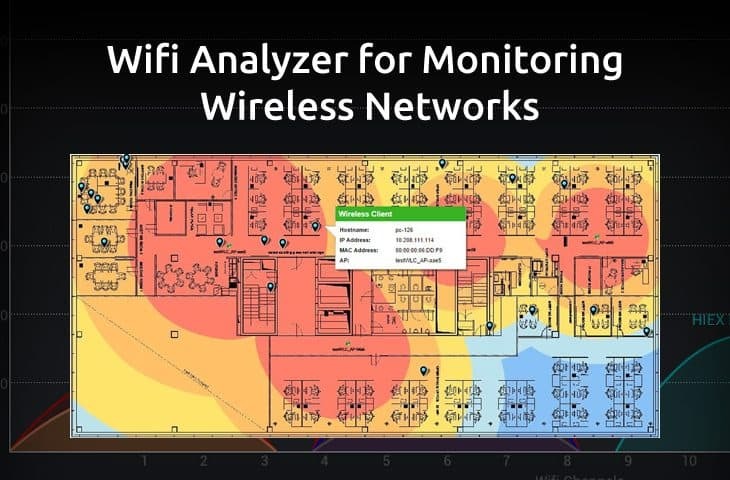 Acrylic WiFi is another good option for diagnosing issues with your wireless network as well as getting a good overview and insight into access points, wifi channels, signal strength and connected devices. Wifi is one of the most prevalent ways of accessing the internet nowadays, especially with the popularity of laptops and mobile devices becoming more and more accessible. Students and professional work environments are transforming migrating away from Ethernet connected networks and depending more on wireless networks to service all users from wherever they are located. Colleges and Universities are almost entirely wireless and with the constant threat of malware and phishing that is being spammed around the internet, having a insight into your wifi networks on campus has never been more important. On top of that, monitoring wireless networks and deep packet analysis will help root out users who are using and abusing the internet and bandwidth by downloading Torrents, movies, mp3's and other media illegally. 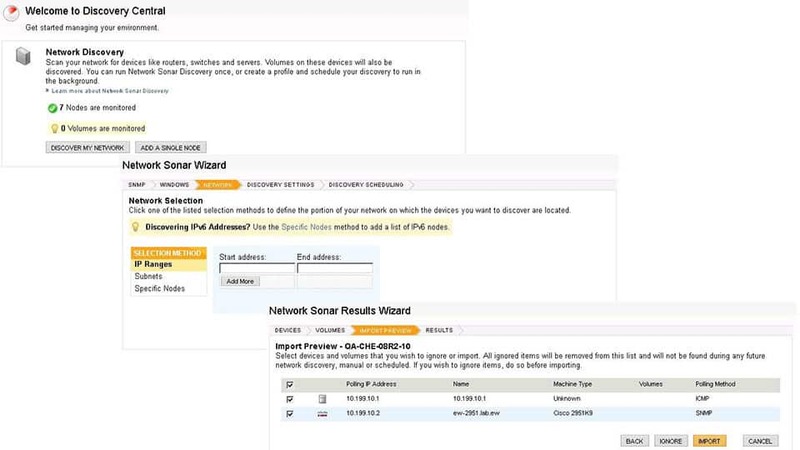 For Enterprise and Business users, we highly recommend Solarwinds NPM for Wireless – They provide the best coverage and packet analysis features on the market. You can download a Free Trial of their software here and install within Minutes to start monitoring seamlessly. PRTG is also a great option as well and is another industry leader.